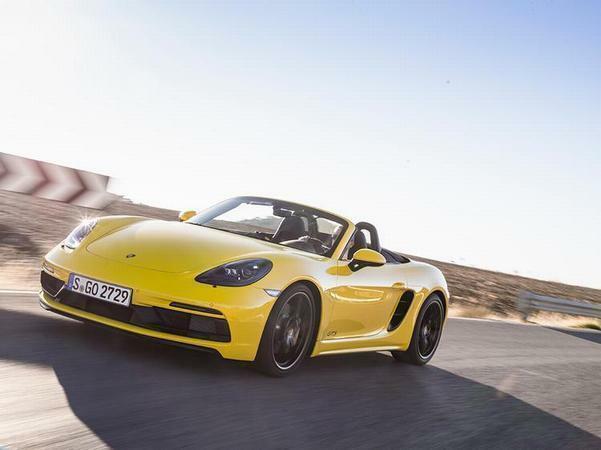 Porsche CEO Oliver Blume has revealed that the Stuttgart-based manufacturer will introduce hybrid versions of its 718 Cayman and Boxster models in the next decade - and it's already testing prototypes that combine the boxer four engine with electric power. 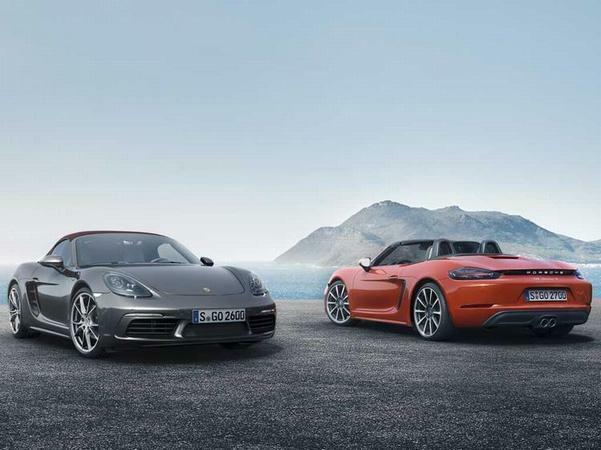 However, the electrified versions of the coupe and drop-top sports models will be launched as part of the following-generation line-up, because the current 718 can't integrate the additional hardware. It's thought that the cars will run with a further-developed version of today's flat-four petrol engine and integrate an electric motor within the automatic gearbox, offering the usual torque filling advantages and power boosts associated with performance hybrid setups. It's not yet clear whether the electrified 718s will be plug-in or conventional hybrids, or whether both versions could be offered for different markets. Blume said he preferred conventional, plug-free hybrids because such a technical layout uses smaller batteries and "is closer to the motorsport setup [Porsche] had in the 919 race car". Although the CEO admitted that pressure for zero-emission capabilities might encourage the use of a heavier and bigger battery reliant PHEV setup, something the brand has extensive experience in with the Panamera and Cayenne hybrid models. It's thought that some weight gain in a hybrid 718 could be offset with a smaller fuel tank - as is rumoured to be the case with the upcoming hybrid 911. 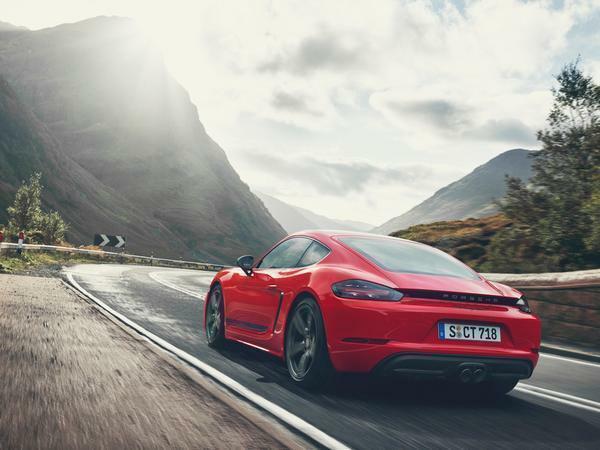 Since the demise of the flat-six in the main 718 models, the Cayman and Boxster have rather fallen from grace amongst certain enthusiasts; could providing them with the additional shove of electric grunt rejuvenate them and make the divisive tone of their four-pot motors more acceptable? Or would it be yet another blow to the once adored Porsche pairing? We'll leave the discussion to you. As for the rest of the line-up, Blume said that Porsche's future range, which will include a fully electric Macan at the start of the next decade, might also feature an EV version of the Cayenne in the coming few years. And while the 992 911 is set to receive a hybrid model, Blume said no model would run without a flat-six at its core because "the flat-six is 911". He also ruled out any chance of a flat-four motor making its way into Porsche's most iconic model. It seems the Panamera will also be safe from full electrification thanks to the arrival of the Taycan, which will do the job of a more-door EV while the Panamera feeds demand for hybrid and conventional petrol power. Interestingly, more than 50 per cent of global sales are for the hybrid models, illustrating just how advanced the shift already is. Is any of this really a surprise? I know it’s ‘progress’ and downsizing / electrification is inevitable etc. But this news makes me sad... and makes the whole thing less appealing. The currrent 718 fitted with a singing flat 6 like before would be soooooooo much more desirable! Flat 4, hybrid automatic. Oh the joy.. Yes please!! Ideal next daily driver for me! Make it a phev in the ilk of the BMW 330e/530e etc please. Bigger car to accommodate all the Battery stuff, which will result in a heavier car. And yet another nail in the coffin of the manual gearbox.